Daily, 7 a.m. to 11 p.m. Specialty coffee shops satiate only a niche market’s appetite. This looks like gospel, even to Jonathan Choi, owner of BF’s coffee gem Magnum Opus. 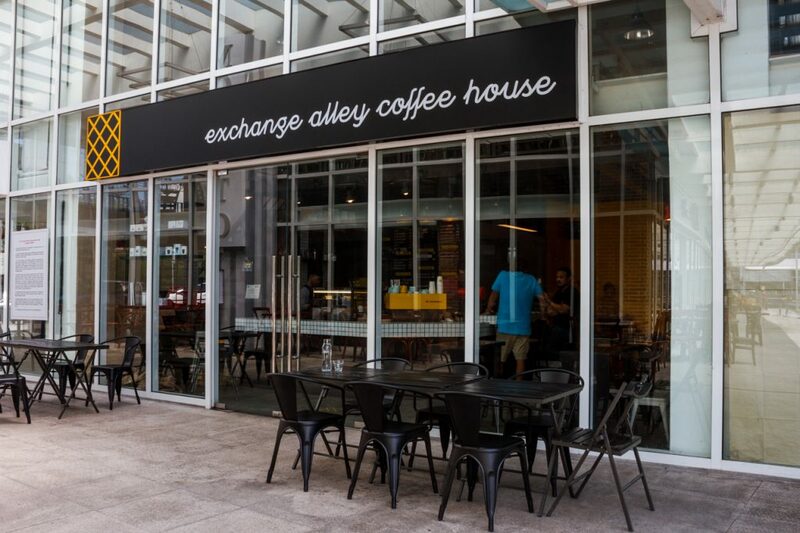 Until he opened another shop and this time in a more commercialized area down south—Exchange Alley Coffee House (EACH) in Molito Lifestyle Center, Ayala Alabang. Exchange Alley Coffee House (EACH) is like BF’s Magnum Opus’ hip and extroverted younger brother. Also innovative, it has its own roastery, roasting green beans in-house. Choi didn’t bring his four-and-a-half-year-old Magnum to Molito as he wanted to preserve its original concept in Aguirre St. But now together with two business partners, his girlfriend Kix Ongsyping and a Magnum patron-turned-partner, he conceptualized EACH, which is kind of like Magnum’s hip and extroverted younger brother. It officially opened in December 2016. “It’s still like a neighborhood café but fits the Molito aesthetic more,” says Choi. EACH has an open working area and low bars so baristas could also engage with the customers. What’s the Molito aesthetic? For starters, EACH opens at 7 a.m. which is perfect for those who have classes at an MMA gym in Molito as early as that hour. 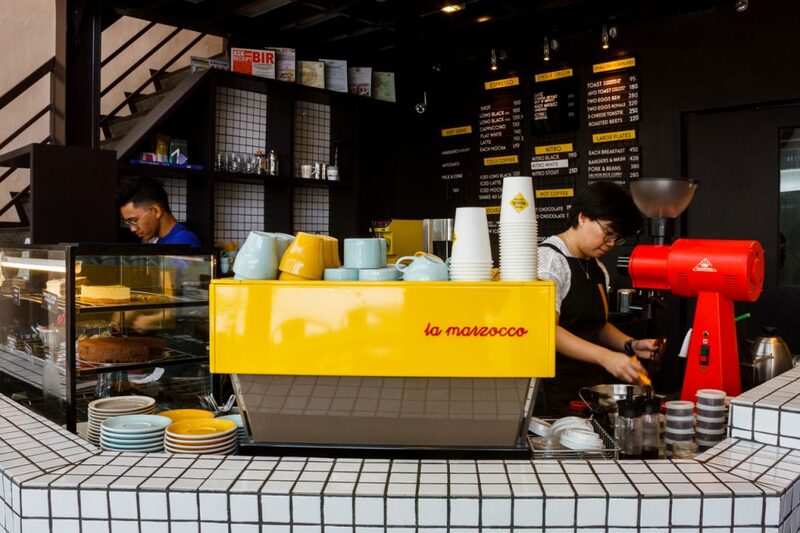 As the lifestyle hub is accessible to all types of people, including those who aren’t familiar with specialty coffee yet, they have now an answer to those who ask for frapps. Shake Au Lait is their version of a frappuccino, but more creamy and strong-flavored. “I admit, three years ago, I would frown upon people asking for frapps,” jokes Choi. 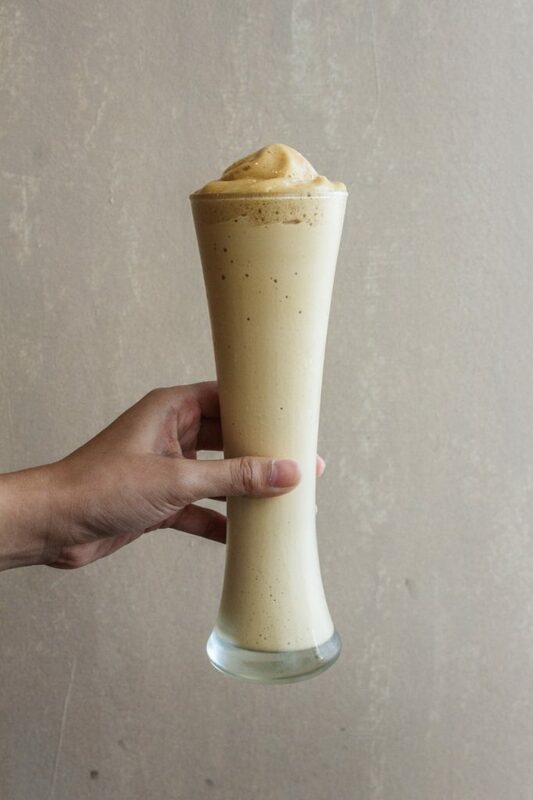 “But it became a challenge [for us] to create something that still allows our coffee to shine while being something people who love frapps would drink.” So they have Shake Au Lait which is a milk soft serve blended with espresso delectably topped with cold brew coffee foam. As they’re open as early as 7, of course, they serve all-day, English-inspired breakfast. 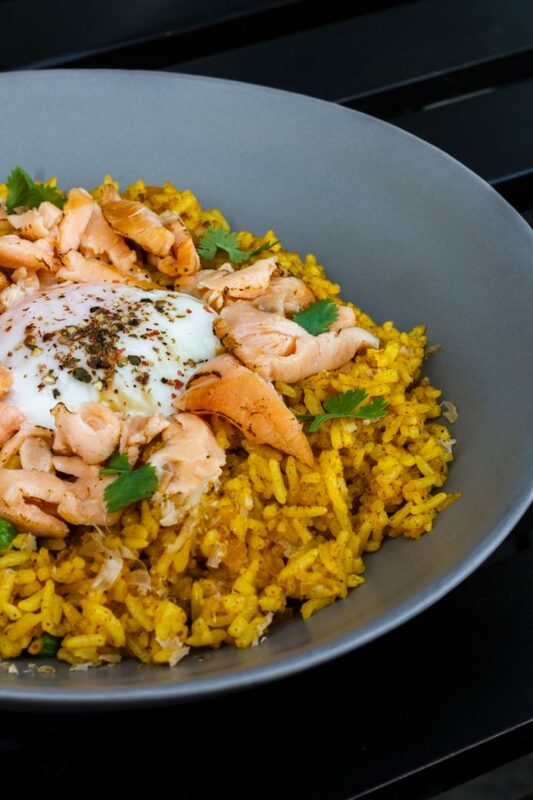 Salmon Rice Curry with sous vide egg. Luckily for a non-spicy food lover like me, the peppery flavor only stays on the tongue. I’m not a fan of spicy food, but I could eat a serving of EACH’s Salmon Rice Curry (although it would take me an hour to finish it, I think, but no regrets). This bowl of distinctive flavor and bite will get you running for the rest of the day. 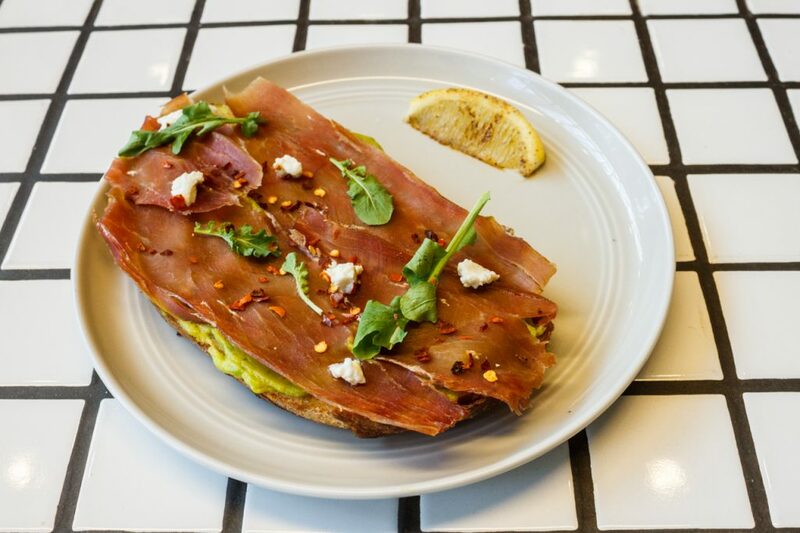 You can have their Avo Toast with egg, salmon, or prosciutto—your call. We had the prosciutto during our visit. Grilled cheese on sourdough paired with a generous serving of their homemade potato chips. Here’s our favorite comfort food taken up a notch. 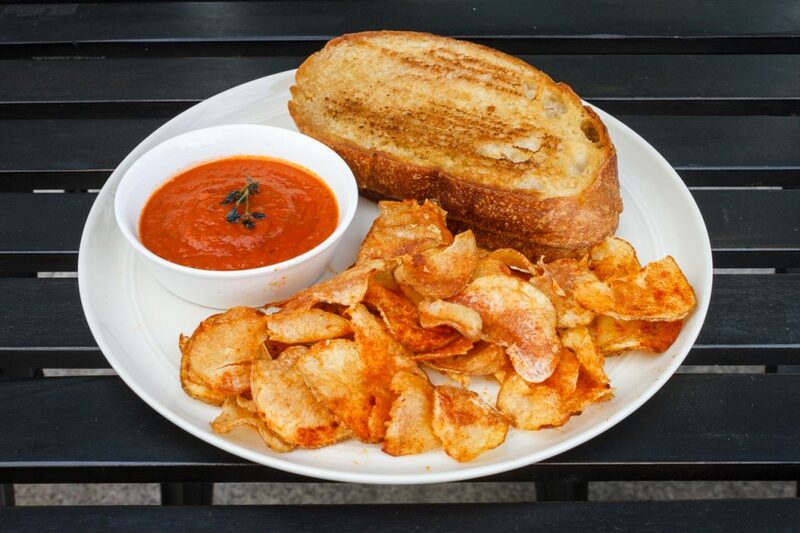 Their 3-Cheese Toastie in sourdough comes with their homemade potato chips dusted with smoked paprika and salt, and chunky marinara on the side. Devour it while it’s still warm and fresh out of the oven so you won’t miss the crisp and the melted cheeses’ (cheddar, mozz, and smoked gouda cheese) softness. 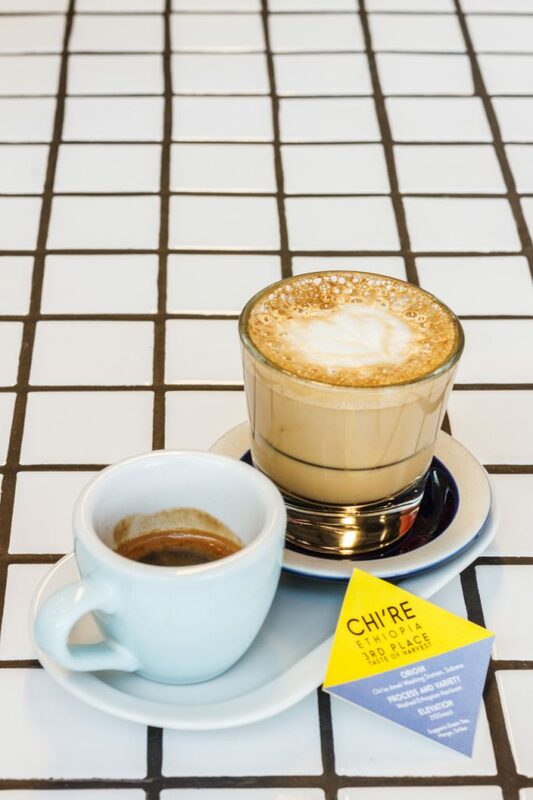 Chi’re from Ethiopia, one of the single origin coffees on their menu, carries a fruity undertone. Have it straight up as a shot or with milk. 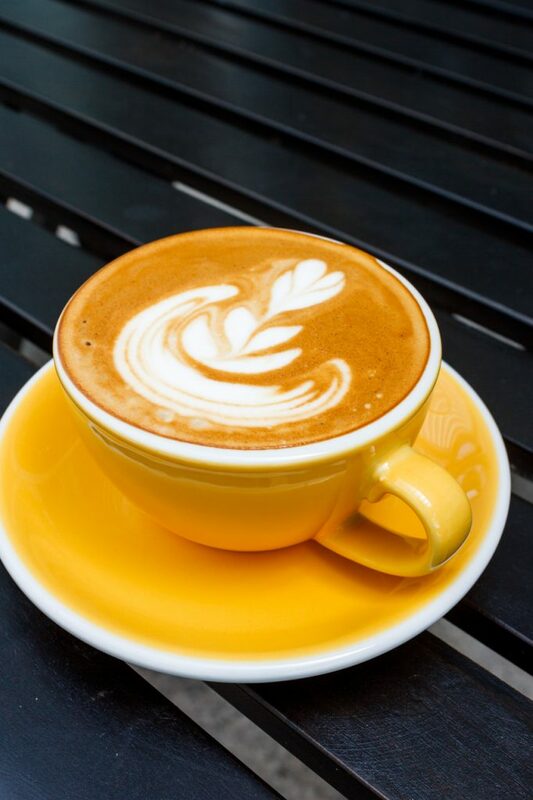 Flat white can be your new after-meal espresso and milk staple. “I thought opening in a commercial area would strip the soul out of the concept,” says Choi. But he shares that Molito is still pretty much a neighborhood almost devoid of rigidity. Although they’re trying to be approachable, the quality of coffee beans they use will never be compromised. Pair their bitter-sweet Shake Au Lait, a drink of milk ice cream blended with espresso, with their filling bowl of piquant Salmon Curry Rice for maximum burst of flavors.